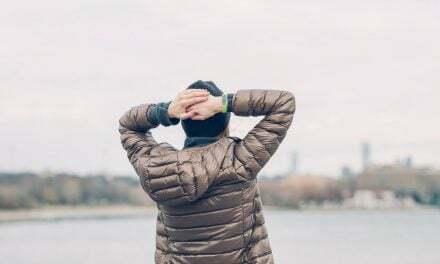 It is a question we often hear – do I really need additional medical evacuation insurance coverage when I already have travel insurance? There is no simple answer, like with many insurance types. One must instead weigh risks and expense, and consider your own philosophy and tolerance. 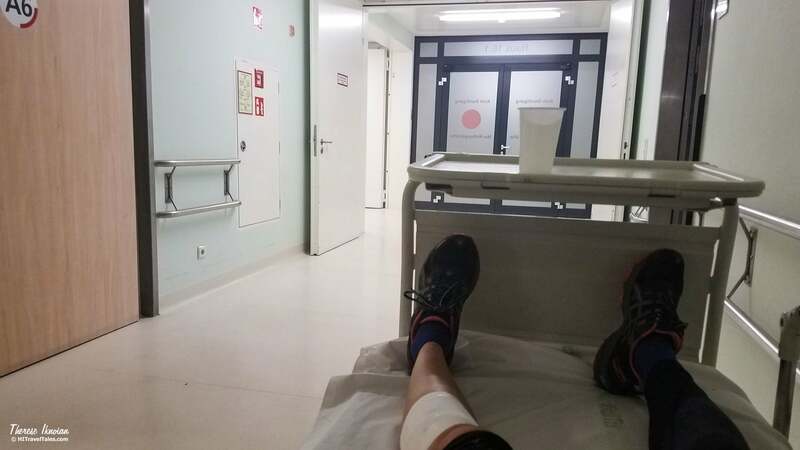 Consider this: You are on a bike tour in Croatia, and you crash…badly. Your jaw is shattered. Will the personal medical insurance in your home country cover you and get you home? What if you purchased travel insurance with medical coverage, would that plan cover you and get you home? “Maybe” is the answer to both questions. Even if you are covered for some or all of the foreign medical bills by either insurance, some or all of the costs of medical transport to get you home may not be covered or may require you to pay for them upfront and seek reimbursement later. Indeed, this actually happened to a woman on a bike trip we were on a number of years ago. While she eventually got home to her surgeon in Colorado, she spent more days and nights than she wanted in a basic hospital with caregivers who did not speak English – with her husband in full desperation mode. Had she been covered by a medical evacuation insurance plan she would have gotten home far more expediently and comfortably. Medical evacuation insurance coverage is not medical insurance, and it is not travel insurance. This is a specific type of coverage that in fact does make sure you are covered and does get you from an accident in perhaps the most remote areas to a hospital and then home without worry about logistics or cost. This type of coverage is typically not the first thing many travelers think about…but you should. 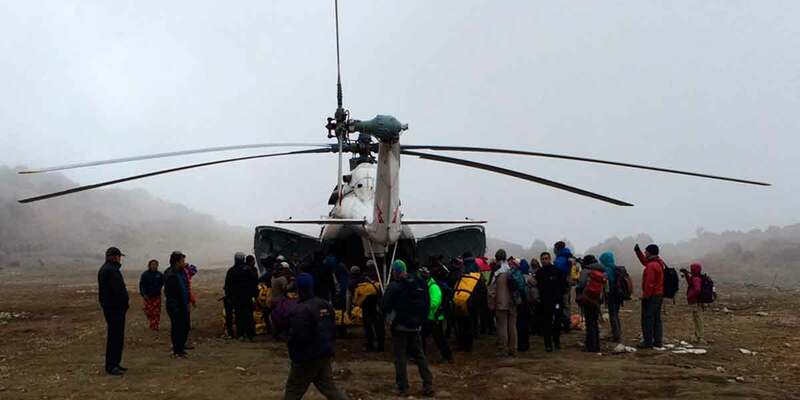 Ripcord Rescue Travel Insurance coordinates taking a group of trekkers out of Nepal with a Russian military helicopter. Isn’t the medical evacuation coverage in my travel insurance good enough? In some cases, it might be. However, realize that travel insurance is primarily designed to protect the covered traveler, from financial loss in the event of cancelled trips, lost luggage, delays, and medical emergencies, usually by reimbursing you for costs as long as you have full documentation and receipts. While most standard travel insurance policies will also pay for necessary evacuation, typically that means the insurance will only pay for transport to the nearest and most appropriate medical facility – with “appropriate” determined by the insurer. Broken arm on a cruise? Medical evacuation coverage as part of most standard travel insurance plans will likely view the ship’s doctor and its facilities as “appropriate” care. That means you would stay on the ship unless you can get a doctor to medically determine you must be evacuated. Companies that offer specialized medical evacuation coverage (see our HITT Tip, below) will take care of all the transportation arrangements and costs to pluck you – in our example — off the boat and get you home to your own doctor and hospital. HITT Tip: Medical evacuation coverage is membership-based coverage, usually annual but can also shorter terms if desired. It is offered through several companies such as Global Rescue, MedjetAssist, International SOS, and Ripcord Rescue Travel Insurance. We recommend Ripcord Rescue Travel Insurance since this company also provides travel insurance along with its medical evacuation service. It is also owned and operated by special operations veterans and physicians. By protecting yourself with medical evacuation coverage, you are covered anytime you are at least 100 miles from your home address and need medical transport. Essentially, medical evacuation services cover the cost of transportation from the point of evacuation (which may mean a canyon, mountain, remote village, far away island, or cruise ship) to where your injury or illness can be diagnosed and you can receive stabilizing care. From there, then, to your hospital of choice, which is typically your home hospital and doctor. All transportation costs are covered from start to finish – ambulance, aircraft, etc. Plus, from the initial point of evacuation until you are home, they will manage your care with bedside care and physicians who speak your language. Most of those costs are never covered by standard travel medical coverage offered with your trip insurance plan or as part of coverage included with your premium credit card. Doesn’t some travel insurance offer solid medical evacuation coverage? We do know of one – World Nomads. As a company, World Nomads is not an evacuation specialist. However, the insurance it provides offers up to $500,000 coverage toward emergency medical evacuation, if ordered by a doctor. Although its definition of what is required for emergency evacuation is not quite as broad as those specifically selling evacuation coverage, such as Ripcord, it is still way better than most. 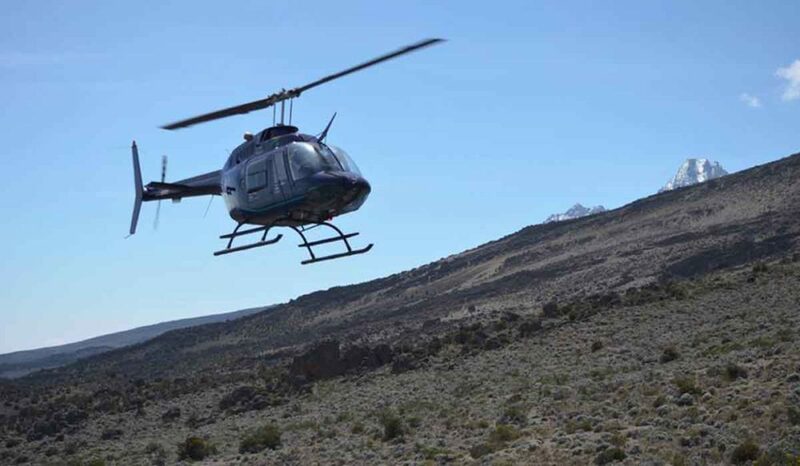 A Ripcord client is medically evacuated from Mount Kilimanjaro via helicopter. What about the great health insurance with international coverage I have? Your health insurance policy in your home country may cover all or part of your medical bills, true enough. But unlike travel insurance, which at least provides for basic medical evacuation coverage, your health insurance will not likely send a plane or ambulance to an international location to pick you up and bring you back to your home hospital. In other words, if you shatter your jaw biking in Europe, badly fracture your arm on cruise in Argentinian seas, or have a cardiac scare in Mozambique, your health insurance policy provider will get you to a local hospital or care it deems “appropriate,” but if you or want or believe you need to come home, you are on your own. Whether you are counting on your travel insurance plan, the coverage as part of your premium credit card benefits, or a superior home health insurance plan with international coverage, read the fine print when it comes to its medical evacuation policies. Know exactly what to expect before you need help. 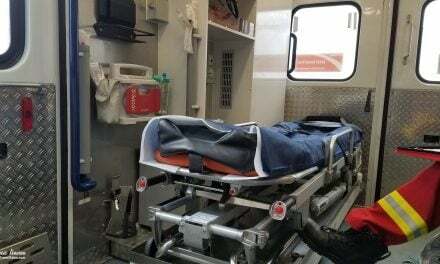 In most cases, you will have to pay for transportation and accompanying care up front, arrange for it yourself, go to a hospital or doctor of choice (meaning their choice and extremely select) and get medical approval from a doctor of choice before medical evacuation to your home hospital can be arranged. Medical evacuation coverage from companies such as Ripcord means you have one point of contact – Ripcord. Its representatives will arrange all of the medical help and resources you need – evacuation specialists, doctors, medical personnel who will accompany you every step of the way — and coordinate all of details from injury or illness to getting you home. Still, none of this matters if you have a pre-existing condition that is not considered stable 45 to 180 days prior to the effective date of the policy – the amount of time varies by insurer. Meaning, for example, you will not be covered if you have a herniated disk that is not medically stable before your departure and you suddenly require evacuation for during your travels. Should I wait for my next international trip to buy this? Remember that “100 miles from home” coverage point (again, check with your insurer for specific coverage details)? If you end up with a complicated leg fracture skiing in Vermont when your home is in California, you would be covered by this specialty insurance when your normal health insurance would deem it “appropriate” for you stay there in a hospital far from home. PLUS, when counting on your home health insurance, you’d likely also have to board a regular flight, on crutches, perhaps more quickly than you should. With medical evacuation insurance coverage, you would be on an ambulance to a medical facility to an ambulance to a plane and then an ambulance get you to your home hospital. Isn’t medical evacuation coverage expensive? 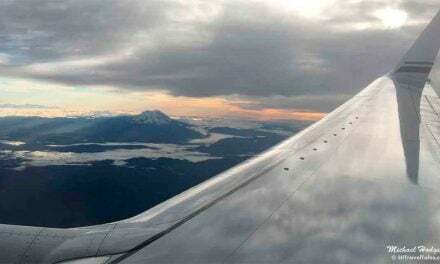 “As international travel increases, especially adventure travel, more people are becoming aware that a medical evacuation could cost them tens of thousands of dollars out of their own pockets — money they may not even have and would have to raise from family and friends if they had no insurance,” John Moretti, director of communications for Ripcord Rescue Travel Insurance, told HI Travel Tales. Back we come to your tolerance for risk. A medical evacuation, even the most basic, can easily cost $25,000. If it is from a remote location with helicopters and specially trained personnel plus perhaps a medically equipped jet, the bill could easily top $250,000. An annual plan with Ripcord starts at $312. 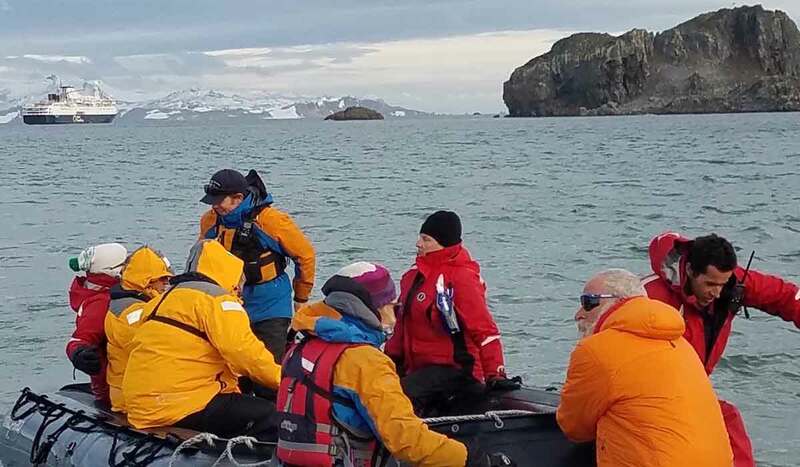 Evacuating a Ripcord client via medical rescue from a ship in the Drake Passage, Antarctica. When might I not really need specialized evacuation insurance? Again, it comes back to the question of risk. If you are only traveling domestically where you are fully covered by your health insurance plan and you are only sight seeing (walking around Boston or Washington D.C. for example) or going to Disney for a week, then you will probably be just fine with medical evacuation coverage provided as a part of your standard travel insurance plan. And this is also why we like Ripcord, because if you purchase travel insurance through them, you are also protected with superior medical evacuation coverage, no matter where you are…and accidents happen, even at Disney World. Medical evacuation coverage only covers the cost of medical transport. Your in-hospital care, and any emergency room charges, physician care, or prescribed medications must be paid for either out of your own pocket (not the best choice, of course), by your own home health insurance, or your emergency medical coverage included with your travel insurance plan or premium credit card travel insurance plan. HITT Tip: If you have good trip cancellation and lost baggage insurance already with your premium credit card and simply want good international emergency medical insurance coverage to partner with your evacuation coverage, we’d recommend you take a look at GeoBlue. GeoBlue is an emergency travel and international medical insurance company. Keep in mind the company does not cover medical emergencies as a result of sky diving, mountaineering or climbing, spelunking, extreme skiing, bungee cord jumping, or parasailing, to name a few adventure activity exclusions. If you’re going to be that extreme, better stick with full coverage from Ripcord or World Nomads. Still have questions about travel insurance? We’re here to answer your most basic questions and have a series of excellent articles on travel insurance 101, what to do when you have a medical emergency while traveling, a travel hack that makes even non-refundable airfares refundable with a certain type of travel insurance, and stories of travel insurance nightmares. 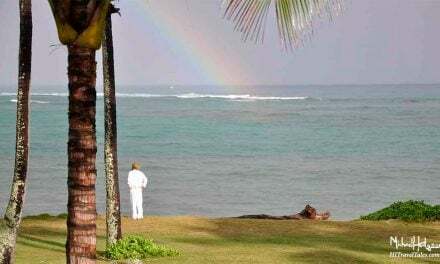 Travel Tips Insurance Travel medical evacuation insurance coverage – do I really need it?